The goal of any business is to be remembered within your community. When the need arises for the service and goods that your company provides, it is important to be the business and brand that are thought of first! This is achieved by reinforcing your image and logo within the area, and no other product can produce that result better than vehicle wraps and graphics. 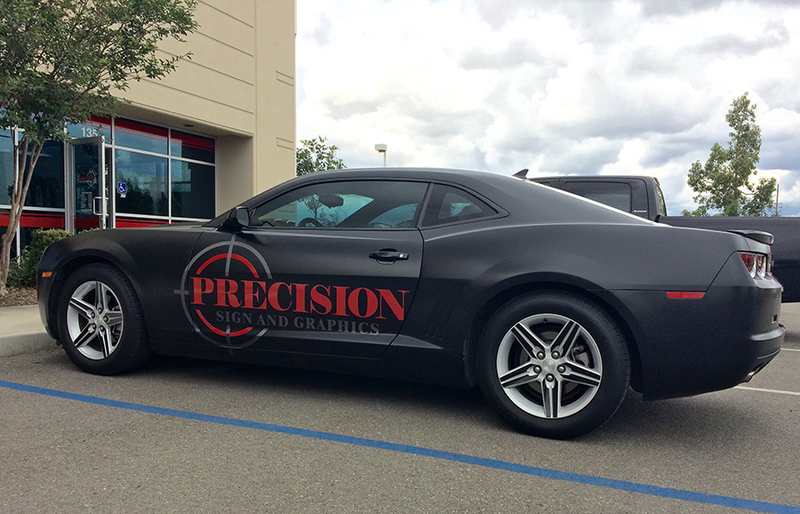 When our shop owner was looking for a custom wrap job for his 2012 Chevy Camaro in Jurupa Valley, CA, our team was happy to take on the task! The finished product was a complete success, transforming a common car into a powerful visual statement. You can see the finished results for yourself in the image above. The vehicle offers appealing imagery, and a unique design! We wanted the vehicle to possess a fresh look that would demand attention. Utilizing a satin finish vinyl, Avery Supreme Wrap Film in satin black, we were able to replicate a matte appearance that will remain in prime condition longer than a coat of paint. In order to achieve the unique striping, we used knifeless Finish Line Cut Tape, and followed the lines of the vehicle’s body. 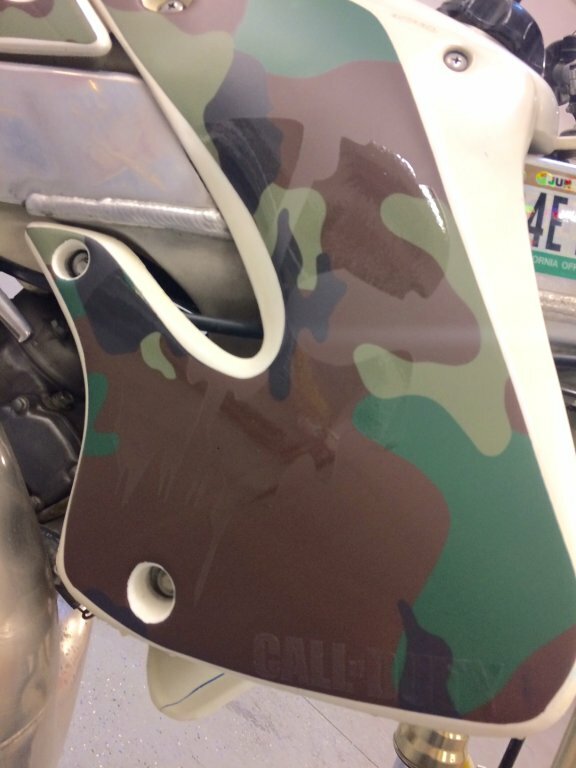 We paired this detail with the lack of wrap on the mirrors, door handles, and rear fin, to give it a customized look that we were very pleased with! Mobile marketing is the best way to reach new audiences at a high frequency. Stationary signs will only draw the attention of the areas they are installed, whereas vehicle wraps can bring the marketing to the customer directly! 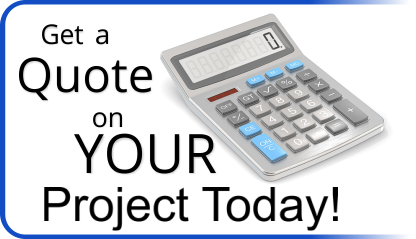 We have found that these products are the most beneficial with businesses that offer in-home services, deliveries, or high volume of drive time. Do you have a fleet of vans or trucks that provide your deliveries or services to your customer’s homes? These vehicles can become your greatest advertising asset with the right design and imagery. Reach a new targeted audience with every drive, and leave a lasting impression in the minds of the neighbors and family that you already service. In a world of stationary advertisements, take an initiative with your company’s brand by investing in mobile marketing tools! These products have the power to put your company’s identity in the eyes of new prospective customers with every drive that your vehicle makes. Some of the most effective results found with vehicle graphics and wraps are those that occur with fleet vehicles. Don’t take our word for it, come see for yourself today! Our team is dedicated to providing custom solution at affordable prices. By offering complete consultations, we will design, fabricate, and install sign or graphic packages that meet the needs of your business or organization completely. We look forward to providing you the items you need to get one step closer to achieving your marketing goals!